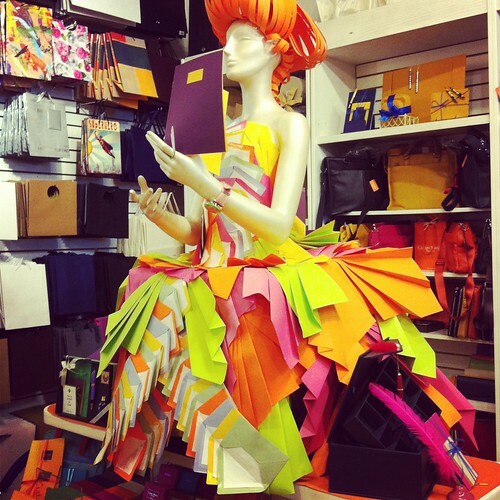 Haeley Giambalvo of Design Improvised attended Alt Summit last week in New York City and snapped several photos of this terrific mannequin while visiting Kate’s Paperie [edit: no longer in business] in SoHo. I spotted Haeley's photo on Instagram and had to find out more... she couldn't have been nicer and sent over these pics right away even though she and her family are in the midst of moving! 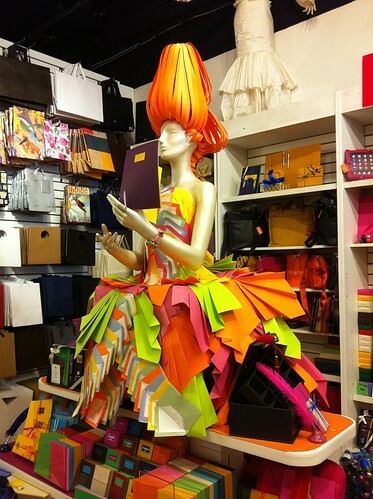 The store is chock full of beautiful paper and gifts and always has clever displays. I emailed Kate's Paperie to ask about the Envelopes Diva and was told she was designed by Greg Urra, the store's visual director. If you happen to be in NYC and would like to see her for yourself, she'll be in the store for about 30-45 days. If you haven't ever visited Kate's Paperie online, you're in for a treat. You'll find inspirational crafts and The Tear Sheet, where a variety of paper artists are featured. And how timely - more folded paper! 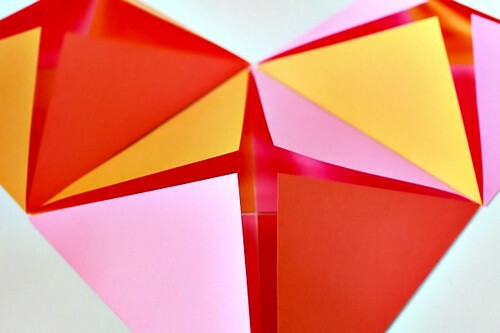 While putting together today's post, I happened upon this super-simple tutorial from Nole Garey of Oh So Beautiful Paper. 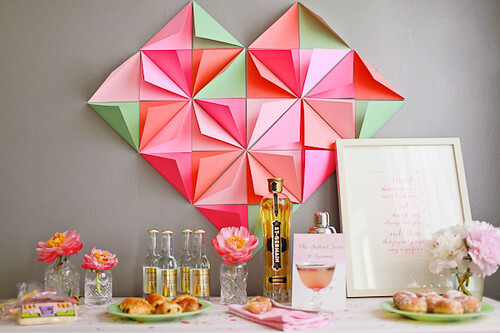 She cut and folded squares of cardstock to make a pretty heart-shaped party backdrop and also used color-coordinated groupings to fill shadowbox frames as an alternative idea. The end result looks so much more complicated than it really is... what a great way to wow your guests! Have a lovely weekend and don't forget... you could win a flower making kit from The Crimson Poppy. The giveaway ends on Sunday night. 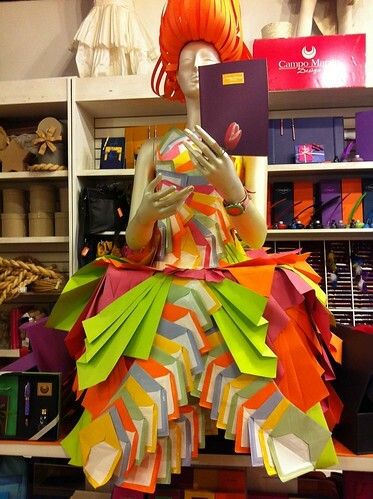 That envelope dress is awesome! Such a creative design. Love how it inspires us to use something differently than it's original purpose. Visiting from www.ritewhileucan.com where we too are crazy for all things paper! Thanks for visiting, Barb - fun blog you have there! Oh goodness, Ann! I stared at this for a while and still didn't realize those are envelopes. Love the neon colors. Can't wait to finish what I am doing and go look at the links. Talk about a show-stopping display by Kate's Paperie! And I follow Oh So Beautiful Paper, too, but hadn't seen that clever backdrop. Lovely! So very creative! , Such brilliant colours too. Yowza, how beautifully creative. That dress is stunning! Happy Monday, lovely.